The Wisconsin Association of Criminal Defense Lawyers, also known as WACDL, Inc., has more than 400 members who are private attorneys and public defenders practicing criminal law across the state. As an affiliate of the National Association of Criminal Defense Lawyers, the WACDL provides support and training to criminal defense attorneys statewide and promotes the proper administration of criminal justice. 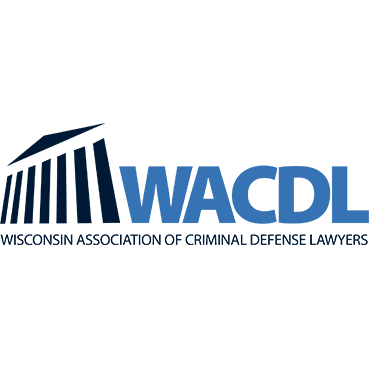 Wisconsin criminal defense lawyers are eligible to join WACDL. Members must certify that they are "committed to the fair administration of justice and the defense of individuals accused of crime." Employees of any prosecutor or law enforcement officers are not eligible to join WACDL. Discounted rates on CLE seminars sponsored by WACDL. Wisconsin Association of Criminal Defense Lawyers - Student Chapter (WACDL) - Information for law school students who are currently enrolled at the University of Wisconsin Law School and are interested in joining the student chapter of WACDL. WACDL Online Store - Visit the online store for WACDL to purchase merchandise with the organization's logo.